Hello, hello, hello, readers! I hope you can hear me over the sound of the coffee percolating, or the kettle boiling, or whatever other morning ritual you’re in the middle of. By the official timeclock, it’s 6AM on day two, my favorite day of the readathon. Day two feels a bit cozier, as we all hunker down and try to hit 24 hours (or whatever our personal goals are). Currently, Kerry and I are hunkered on a couch in her house in the woods, buried under blankets and dogs and cats and consuming all the coffee. Like I said last year, over the years, your three hosts have progressively retreated from everyone who isn’t ‘thonning on 24in48 weekend…and I’m not mad about it. This community and these weekends are our favorites; reading for the sake of reading with readers the world over is the most important aspect of this weekend. You’re here because you want to read and connect, and that’s a beautiful win, no matter how many hours you read or don’t. All smooshy feelings aside, it’s time to kick off our day two challenges! Today, we’re gonna follow a bit of a theme: book recommendations. First up, we want to hear about your favorite series. YA, SFF, Mystery, Kidlit, it doesn’t matter. We want to see and hear about your favorite series, and what makes it so wonderful. 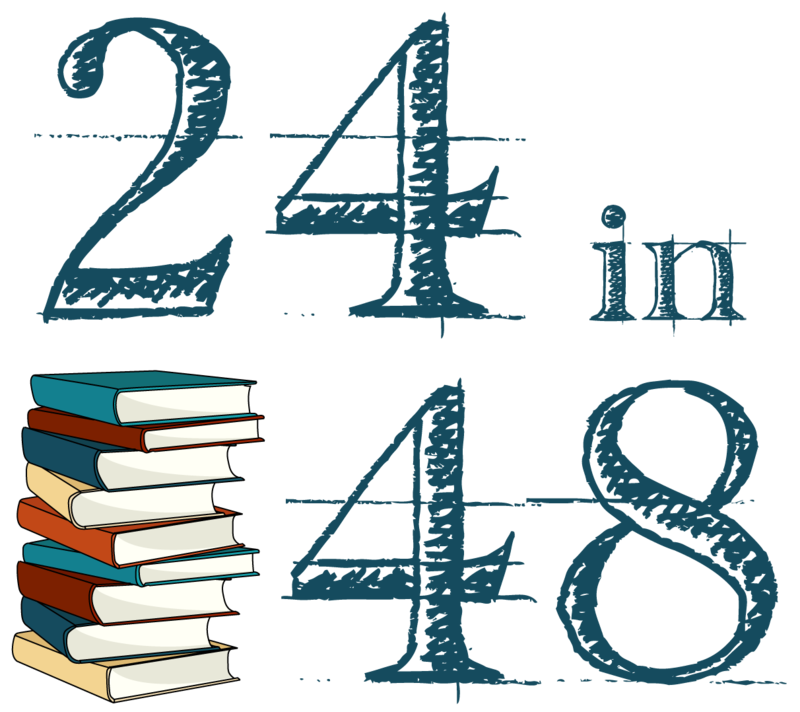 If you’re posting a photo of your entry on social media, don’t forget to use the official hashtag #24in48 so other readers can find you and add your series to their TBR, and tag us so we can see! For this challenge entry, like the others, post your entry on social media/your blog and drop the link in the form. Don’t forget to identify yourself and jot down where we can find you this weekend to validate your entry. We’ll post the winners of this challenge in six hours (Hour 36), so make sure you check back after you entered to see if you won! Hit us with those recommendations, and get back to the books!